Redbrick Solutions, the market leading case management specialists, have achieved the highly desirable Legal Eye Quality Standard following an intensive 6 month assessment process. They are the only case management provider to have achieved this highly regarded quality standard. The Legal Eye Quality Standard is unique in that it goes above and beyond all of the traditional quality standards. The assessment required Redbrick Solutions to undergo an extensive review of all of their policies, systems, practices and procedures. Every member of the business underwent training and assessments in areas such as equality and diversity, anti-bribery and fraud and data protection. The management team refined and developed their policies for best practice and risk management for the protection of staff and clients. Jaunita Gobby, managing director at Legal Eye adds: “We are delighted that Redbrick Solutions have achieved the Legal Eye Quality Standard. Redbrick Solutions are very proactive about their risk management and best practice procedures and it was a pleasure working with their team through this process. The systems and procedures that they have demonstrated are very impressive. Redbrick Solutions are one of the UK’s leading, expert suppliers of law firm software. Their products; Redbrick Practice Management and Business Intelligence include a fully integrated, extensive toolkit designed to support the requirements and responsibilities of nominated persons and assist them in handling their duties in a simple, efficient and safe manner. 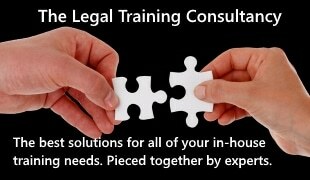 Associate News is provided by Legal Futures Associates.